Both Paul and I read your book 'Birth Right', early in our pregnancy. It made us realise that we didn't have to be passive in our birth experience. From that point, we were determined to have the birth we wanted. Through our meetings with you and your advice at each stage, we moved along the path toward welcoming our baby into this world in a beautiful and natural way. We were so happy with our birth experience. We felt in complete control which was extremely important to us. Ben was not the smallest of babies (4.5kg. at birth with a 38cm. head plus fist!) and we're sure that we would not have had such a wonderful, natural birth experience without your advice and assistance. Ben is now 8mths. old and is such a happy and healthy little boy. We're sure that this is in no small part due to the way in which he was brought into this world. We can't thank you enough! My husband Damien , my cousin Tamryn (our support person) and I attended your Birth Right class in September, 2008 and we just wanted to thank you for giving us such insight into childbirth. Our son, Ace Hamilton, was born at RHW Birth Centre after a 9 hr. labour. Lot's of people told us that as this was our first child we would probably not have the drug-free natural birth we were planning but thanks to all the wonderful advice we received at your classes we were lucky to not only have our baby at the Birth Centre, without intervention or drugs, but our son was born into a beautifully calm, dimly lit room, was able to feed immediately. I didn't require stitches and we were all home safe and healthy within 12 hours of his birth. 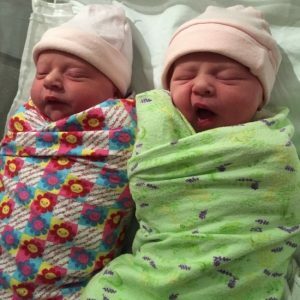 Being so well informed allowed us to labour confidently and remain focused and combined with superb care from the Midwives, our experience on this day was better than we could have imagined. We recommend your classes to anyone having a baby. Thanks again. 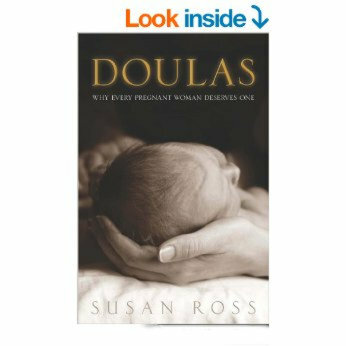 Thank goodness for Susan Ross, our wonderful doula! Without her I am sure our experience of Lily's birth would have been far less satisfactory than it eventually was. I had a normal healthy pregnancy and was excited and happy to be expecting my first baby. At 35 or so weeks, Lily was found to be lying breech. We tried everything under the sun to get her to turn head down, but none of it worked. It looked as though it was going to be difficult to create the kind of natural birth we wanted. Luckily there were voices other than mainstream hospital. I had read Susan's book, and we employed her right at the last minute, when we knew we really needed some help. She encouraged me to read and think for myself about what I wanted, and to ask for it. In full knowledge of the realities and risks, I decided to attempt a vaginal breech delivery instead of accepting the elective caesarean recommended by the hospital. My labour was long and irregular, with lots of stops and starts, and Lily was slightly distressed right from the start. It was nothing like what I had imagined! Susan valiantly came and went from the hospital as we needed her, encouraged me, held my hand, massaged me, gave Andrew much-needed breaks, talked it through and helped us to make decisions about the labour. Most importantly, she helped me to understand that I had choices and to act on them for the sake and safety of my baby and myself - particularly once it became obvious that we needed an emergency caesarean. 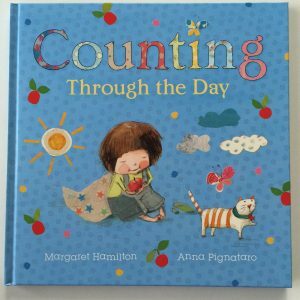 Although I was frightened and dependent on the hospital staff, I never truly felt like I had lost control of the labour, of my baby's wellbeing, of my story, my body and my self. And for that reason, when I look back at Lily's birth, I feel entirely satisfied with our decisions and the outcomes. Thank you Susan for helping us to deliver our beautiful, bright, healthy baby girl, and for facilitating a difficult birth in such a practical, empowered and spiritually satisfying way. We had Susan for our ante-natal classes. We found her to be above and beyond what any new parents could ask for. We thought that all the information provided was more than informative and with her sense of humour, it made the day go by much quicker. I would recommend her with a 5 star rating and give her 100%. We were absolutely pleased and we loved her nature, honesty and her theory. I just wanted to send you a quick thank you for the Birth Right session last Sunday (25th March), myself, Chad & Julie (my mother) found it very worthwhile and left us all with a much more positive feeling toward labour and birth. This has not been easy to find! Susan and Birth Right are definitely operating with an integrity and genuine desire to support women. I loved everything I learned from you and the hypnosis is something I keep coming back to so I’ll always be grateful for that opportunity with you. I just wanted to thank you for creating this amazing 4 day workshop called Inside Birth. I knew when I did the course to become an Educator that it would change lives. I never truly could comprehend the impact this course would have on the people who attend the workshop, it is nothing short of amazing. This is one of the single most amazing courses I have ever had the privilege to teach and I can’t wait to change more couples and babies lives as I impart your knowledge to them and prepare them for the most special experience of their lives. This course you have developed is simple yet so very powerful and empowering. I highly recommend this course to anyone who is ready to change the way woman and their partners feel about and experience birth, this is the first step to a more positive relaxed birthing experience. 1 week before my baby was due to be born my OB struck fear into me by telling me that things weren't progressing 'normally' because my baby's head had not engaged and she was lying in the posterior position. He said these were not good signs for a 'smooth labour' and that he would recommend an induction or perhaps a c-section if the baby was not born by 41 wks. I was devastated by this news as I was desperate to experience the wonderful journey of a natural birth. 1 day before my baby was due I phoned Susan Ross and asked her to be my doula. After speaking with Susan I regained my confidence that I would be able to have a natural birth. On the night I went into labour, Susan came to our house at 3am and helped me through every contraction. At times I almost lost control but Susan helped calm me down and assured me that things were progressing well. By having her with me I was able to labour at home for as long as possible and only go to the hospital at the last minute to deliver the baby. I arrived at the hospital 10cm dilated and gave birth to a beautiful girl just 1.5 hrs later. No drugs, all natural, just as I had wished for. I truly believe that if it wasn't for Susan, my birthing experience would have been very different.... and perhaps very distressing if there was unnecessary medical intervention. One of the best decisions my husband and I ever made was to ask Susan to be our doula, she ensured our darling girl entered the world in the best possible way. slightly early birth of our twins by c-section under a general due to pre-eclampsia. midwives offering to break my waters. (I had tested positive to strep B and knew that there was only a problem once my waters had broken so I was in no hurry to have them break. I also wanted as little intervention as possible and saw no need for my waters to be broken). I had placed my trust in Susan and asked her advice when I was unsure. Having her there to remain rational also helped my husband, who hates hospitals, so that he did not have to negotiate on my behalf. He was able to hand over the role of advocate to Susan and she became the advocate for both of us. If there is a next time I will probably labour and birth at home. However, if I ever need doula support in a hospital again I will be calling Susan for sure. If I could change one thing it would be to decline the student midwife. I agreed to her presence because I feel strongly about giving learning opportunities to future midwives and I had liked her during appointments. However, it turned out she was not able to tune into me or the process I was going through and I found her presence and her inappropriate comments throughout the labour inhibiting. I truly hope she learned something but next time I won't be offering up my labour and birth to students. With Susan's support I was able to re-focus on my body and my labour and continue to birth my baby. The most important thing in finding a doula trainer was being able to engage face-to-face. Birth Right was fantastic in the sense I could approach the theory content at my own pace and then bring this together using Susan’s rich wisdom on a two day workshop. This is where I got the most value, and this I feel is a very important part of Doula training. Susan is a great mentor and frames a positive approach to birth, postpartum and a Doulas role within that. Using Susan as our Doula gave us tremendous support. We were able to discuss ideas about the pregnancy, birth and post-natal with Susan in our home. I was given peace of mind that my wife had expert care in order to give our daughter the best start in life without medical intervention. Our daughter definitely benefited from the lack of drugs, she was instantly alert which in turn assisted with breast-feeding attachment. Quite incredible. Eva's birth happened exactly the way I hoped it would, and having Susan as a doula was an important ingredient in that. I had complete trust in Susan's experience, her approach to childbirth, and her good sense and humour, and that helped give me the confidence to enjoy my pregnancy and then focus in my own way on the hard but beautiful work of labour. I know her calm and knowledgeable presence during the birth also reassured my husband, allowing him to freely give the kind of support I needed. I also believe that if medical intervention in Eva's birth had been necessary, Susan would have been an invaluable support and guide. Having such a positive birth experience was not only wonderful in itself, but also incredibly valuable in leaving me emotionally and physically able to embrace the whirlwind of new motherhood. You know, on our particular night, on the night that beautiful Eva was born, having a doula didn't seem to make a difference. We laboured alone in our house until about 3 am - this was an extraordinary and scary and beautiful and momentous period - and then I made the call to her. Susan drove over to our place and then shortly after, we went independently into the birth centre. Sarah continued to labour there until 11 am when Eva was born in the bath. Things went well, we were in control. This is probably the key to what made Susan such a great doula - she was present without being a presence. In the lead up, she made an enormous difference - she (and her book) asked us to ask good questions, she is clear without being prescriptive and she possesses great integrity around the pregnancy and birthing process, her knowledge of hospital and midwifery structures is superlative. She also took some beautiful pictures. “Training to be a Doula with Susan at Birth Right is easily the best decision I have ever made. The course was brilliant in both structure and content and immediately I knew that I had found my calling. One of the main reasons I chose Birth Right (and continue to work with Susan as my mentor) was because of Susan’s extensive medical and woman-centered experience and knowledge which enabled a holistic approach to the training. This is something that I am continually thankful for as it has been a huge benefit in the relationships and rapport that I have been able to build with medical professionals and caregivers, which in turn has allowed me to provide the best possible support with the best possible outcomes to the wonderful families that I am lucky enough to support on this incredible journey. We didn't have a doula for the birth of our first child, and while the labour started out well, I ended up with an emergency caesarean, due to an awkwardly positioned baby. This was very disappointing. In hindsight, we felt that with the right advice the surgical intervention could have possibly been avoided. This time around the labour went more smoothly and ended with a beautiful drug-free waterbirth. Susan met us at the Birth Centre and worked with the Midwife to guide, reassure and support me. Susan knew, just by watching, what I needed and exactly what to say. She stayed for a while after the birth to make sure the first breastfeed was going well and that we were settling in with the new baby. We found her help in providing comfort and encouragement to be invaluable and would not hesitate to recommend her to anyone else and we'll definitely use her again in the event that we decide that having another child is a good idea. After unsuccessfully trying to have a baby for a number of years through IVF we fell pregnant naturally, which was a welcome shock. I wanted a natural birth and booked into the Birth Centre. I was concerned that having never been through a birth, how would I know what to d, if things were progressing well or if things were going awry? Friends had an excellent experience with a Doula and we thought it was a good idea to have someone supporting us, who knew how to navigate the medical system and believed wholeheartedly in natural birth. 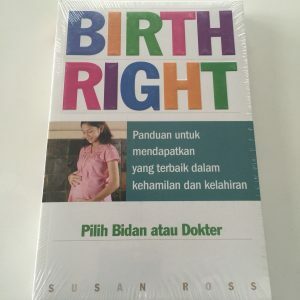 Birth Right and Susan came recommended. After having read Susan's book (Birth Right), which made perfect sense to me, it felt like with Susan we would be in practical, pragmatic capable hands. We met and I was impressed by Susan's approach to supporting couples and in particular felt that she and my partner got on well. I felt very confident as our pregnancy progressed that both Silas and Susan knew what I wanted and would be able to support me through the birth. We had six nights of pre-labour and Susan was on the end of the phone answering questions and I felt secure knowing that this was a normal set of events. As labour failed to kick in naturally, despite all our efforts, and the time after my waters broke ticked away, Silas, Susan and I made our way to the Birth Centre. Sadly for us, meconium was present and we were transferred to the Delivery Suite. Having Susan helped to ensure that we had the birth that we wanted. At all points Susan, explained the options as the medical team presented them and helped us to negotiate less intervention, rather than more. Having Silas and Susan there meant that I felt able and confident to get on with breathing through the waves, focusing and enjoying the birth. I knew I could give birth naturally and that is exactly what we did. Matilda was born calmly despite the kerfuffle all around me. On reflection, it was evident that without a Doula with a clear head and our interests at heart, rather than an eye on the clock and the Dr's wishes, our birth could have gone down the severe medical intervention front. I thank Susan from the bottom of my heart for agreeing to be our Doula and working with us practically and pragmatically all the way through our pregnancy. We would like to thank you for empowering and educating Glen and I with regards to our rights about being entitled to the birth of our choice at any hospital. We can't thank you enough for the information you gave us. I am thoroughly enjoying reading your book and had a good giggle as we sounded just like many other couples described in the early chapters, of not having a choice. You could easily have brushed us off as you've heard it ALL so many times before, except you listened. You gave us a voice to speak up, and for that we cannot thank you enough. Thank you Susan for being a phenomenal educator and mentor. Not only do you have a wealth of experience across fields, you also have a real talent for delivering information and a wonderful demeanour that allows your students to blossom. I was gratefully challenged by the assignments; I thoroughly enjoyed the weekend workshop and I deeply valued your over-the-phone support as I took on my first clients. I researched a lot of Doula education programs and I’m so pleased I chose Birth Right. I couldn’t have asked for a better teacher, truly. Susan provided me with great peace of mind due to her knowledge and experience (which was evident from the first time we met her). Staying at home as long as we did during the labour would have been cause for me to worry but having Susan there took that concern away. At no time did I find Susan overbearing or trying to replace me, she was simply there to lend us her expertise and provide great advice, in particular she guided me through what we should do next as the labour progressed e.g - put her in the bath now; go to the hospital now etc. Having Susan accompany us to the hospital was also very comforting for me as I didn't have to worry about what the doctors were doing or any of that medical stuff, I knew Susan was on top of it all. I'd have no hesitation in recommending other couples to have Susan attend their birth. I feel things would have been much more difficult if Susan had not been there with us. I would just like to thank Susan Ross for her beautiful book, which became my bible during my 4th pregnancy. After 2 inductions, epidurals, forceps, episiotomies, drips, drugs and stitches spread over my first 3 births, I felt that this was my last chance to have the kind of birth I have always dreamed of. Well let me tell you I barely put the book down. It seemed to be with me nearly everywhere I went. I am thrilled to tell you I had a beautiful experience birthing my 4kg. posterior baby boy, because I knew that I could. I had faith in my body, and all the positive affirmation throughout the pregnancy worked. I delivered my son myself, with 2 Midwives watching, lights dim, and music playing. After 5 months, I still feel on that hormonal high. I have never contacted any author before, but this time I had to. Also, after all these years of being passionate about childbirth and pregnancy I plan to become a doula. So thank you again for touching my life in such a beautiful way. We found the early weeks of pregnancy to be a confusing time, especially in relation to our options for ante-natal care. It wasn't until we attended a course run by Susan that the fog finally cleared and we felt we could make an informed decision about caregivers and confidently move ahead with our preferred choice. The next most important decision we made during pregnancy was to have Susan as our doula. During the last nervous weeks of the pregnancy Susan provided calming words over the phone. During the actual birth Susan's reassuring presence and advice provided the support and focus my husband and I needed to get through. Decoding hospital-speak and remaining a constant presence during the many changes of staff, Susan really was an invaluable part of the experience. Reading Susan's book, Birth Right, was a turning point for me. I realised that if I just trusted my body, I would be well equipped to cope with a natural, drug-free birth. From that point I was guided and encouraged by Susan. Using Susan as our Doula gave me the confidence to embrace the whole birthing process knowing my husband and I would have expert support throughout the experience and indeed afterwards. Thank you Susan. Susan's classes were tremendous as they provided immediate information and answers to all our questions in the privacy of our home. As a practising midwife, Susan was able to explain and teach in a practical and interesting manner. I found her classes enjoyable and they allowed me not to need group classes or read numerous books. 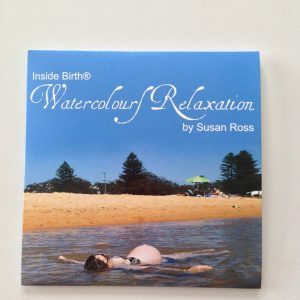 Susan is the complete pre-birth encyclopaedia that delivers everything in two classes. Friends and family tend to hold me up as an example of having a low pain threshold and following a very long and difficult labour culminating in an epidural for my first birth, I was very unsure whether I had it in me to achieve the drug free labour and waterbirth I really longed to have for my second child. I contacted Susan very late in the pregnancy after months of dithering and angst, and it was the best thing I could possibly have done. It is difficult to explain the power of having someone so strong and centered and experienced lending balance and authority during the extremes of labour supporting your decisions, suggesting techniques to help ease the pain, and reminding you of your own strength and capability. Susan met with me several times before the birth and we worked through my lack of confidence and fear, resulting from my difficult first birth. She was reassuring and empathetic but also very straightforward and no-nonsense. After another long pre-labour at home, during which we spoke regularly to Susan, my husband and I met her at the Birth Centre. I was very discouraged to realise we had come in prematurely, and that I was not particularly dilated. Susan was soothing and encouraging. Her help in getting past this initial blow to my confidence was very important, since my husband was similarly traumatised by the first birth and just as in need of encouragement. She noticed that being in the bath relaxed me and helped the labour progress. After about 7 hours in the Birth Centre, with lots of encouragement and gentle reminders to breathe and focus and relax from Susan, Rosalie emerged strong, calm, alert and breastfed immediately. Her alertness seemed truly miraculous, in sharp contrast to the relative limpness of my first baby after pethidine and an epidural. I am immensely proud of myself for giving birth to my second daughter naturally. Attaining your own goals for an ideal birth for you and your child, with the maximum of considered control over your own labour, is indescribably gratifying. For me, this natural waterbirth was a huge achievement that will remain an important factor in my self-regard all my life. But I really don't think I would have had the focus to endure without Susan's help. I am eternally grateful to her and I wish I had contacted her much earlier, so I could have benefited from the many classes she also offers. My wife and I were excitedly expecting our first baby and didn't know where to start. After hearing all of the different advice offered by family and friends we were somewhat overwhelmed - Susan was a fantastic help, with her wealth of experience in childbirth she helped us understand the options for childbirth and their impact on Mum and baby, dispelling old myths and reassuring us that this was an event where we could decide on how things were going to happen. Dear Susan, I am writing to say thank you for your book. It changed my outlook on my pregnancy. Everything that happened at the birth that was good happened because I followed your book. I did it drug free, with a doula and had a perfect labour, attachment and early breastfeeding experience. So, thank you for your wisdom and courage. 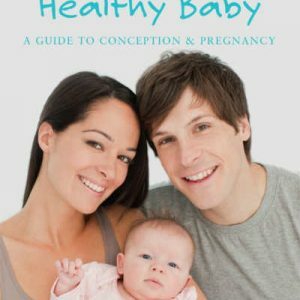 I hope every pregnant couple gets to read your book. HELP! MY BABY HAS WIND! Copyright © 2016 Birth Right. All rights reserved.